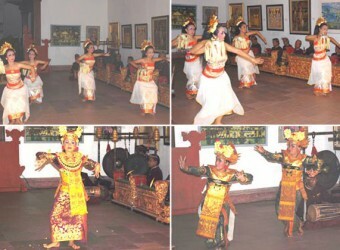 Bali Traditional Tour The Peliatan Masters perform only stage to be performed in here such as Penarik Becak and Sambung Ayam. The musicians are also aged men members. Their gamelan music is really beautiful rhythm and sound, and impressed by practiced music. The theater is in ARMA Museum.